The Home Currency feature allows you to set a default currency for your international team members - so all of their expenses are automatically recorded in terms of the currency of the country where they’re based. Employees can still select any currency when submitting expenses, and Abacus will remember the currency the next time a new expense is created. Home Currency cannot be used to reimburse international employees directly, but it will make the manual reimbursement process easier for your team. To set a home currency for your international team members, please first ensure that International Mode is enabled on your account. 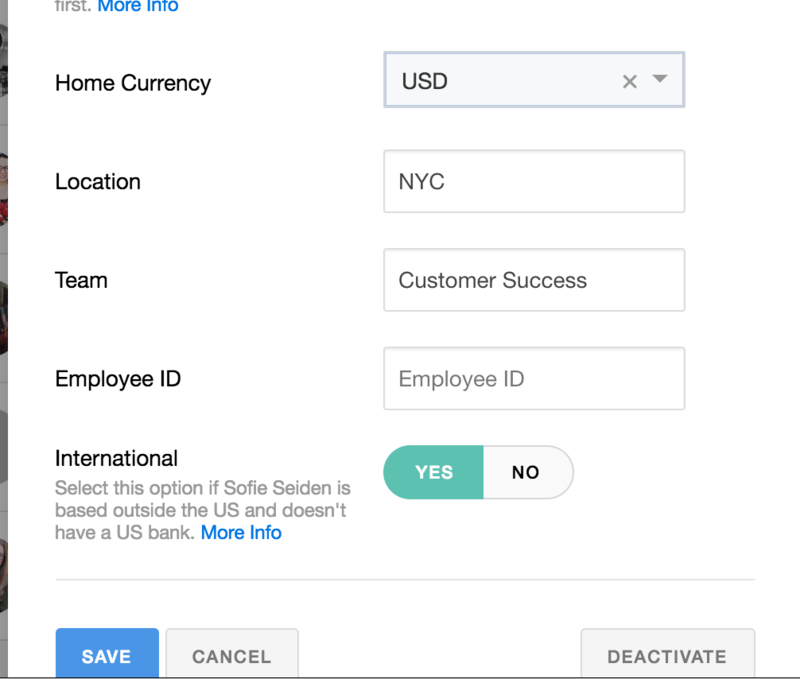 Abacus cannot send money to non-US bank accounts, so International Mode will allow your international employees to use Abacus while allowing them to circumvent requests to connect their bank. If you do not have International Mode set up, please reach out to support@abacus.com so we can help you set this up. After International Mode is enabled, head to the People Page and select the pencil icon to the right of the name of the employee you'd like to adjust. 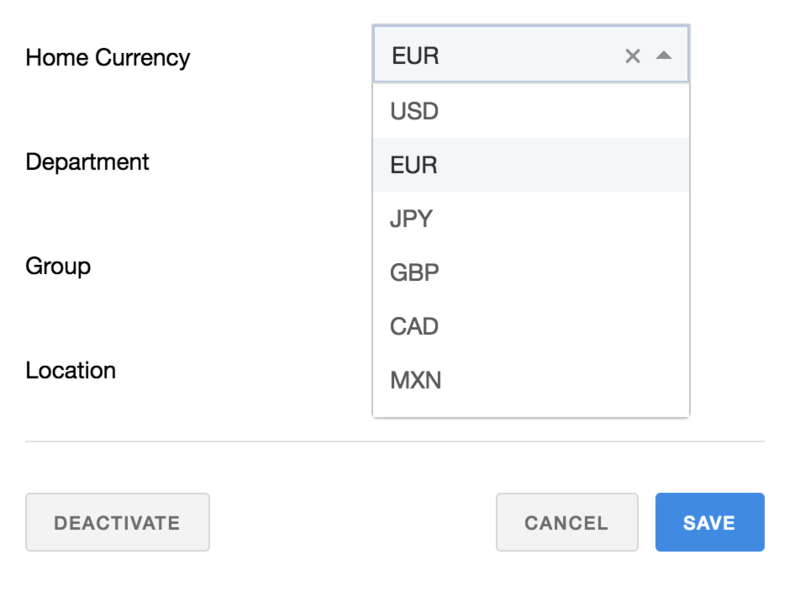 After you've enabled international mode for the employee, you'll see a home currency dropdown appear on the employee settings. Save your selection. When you download CSV exports of this team member's expense details, you will see a column listing the reimbursement amount in the currency selected, as well as a 2nd column showing the total in USD. All of the employee's expenses will show three amounts: The amount in USD, the home currency, currency that was used on the expense. So if the employee is traveling, you'll be able to see all relevant amounts (the actual amount paid, the amount in USD, and the total in the employee's home currency) in one view. Since you’ll still be be reimbursing these employees outside of Abacus, the .CSV exports will now show 2 additional columns - one for for reimbursement amount in USD, and another with the employee’s home currency - so you don’t need to do any additional tricks in order to figure out what your employees are owed! We use the conversion rate based on the date of the expense. We do the conversion directly between the expense currency and the home currency (i.e. it doesn't get converted to USD first). If the expense currency matches the home currency, we just use a rate of 1 so that it will match exactly.